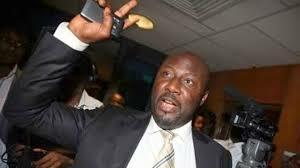 Dino Melaye reportedly kidnapped – Royal Times of Nigeria. The Kogi police commissioner, Ali Janga, who invited Mr Melaye to report at his office by 10:00 a.m. today, says Melaye had not arrived, but strongly denied knowledge of his whereabouts. Mr Melaye’s associates, it was gathered, said that the senator was feared kidnapped on his way to Lokoja, but could not ascertain the specific section of the Abuja-Lokoja highway where the incident might have occurred.